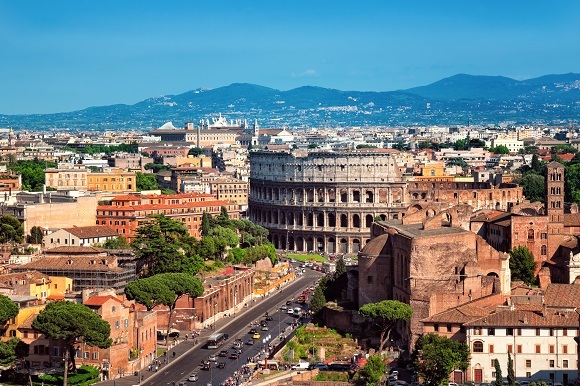 Planning a trip across the pond this summer and have your sights set on visiting Rome? Amazing! 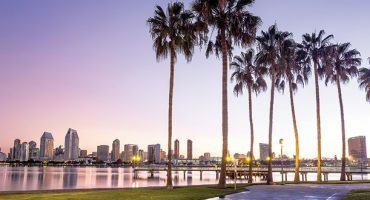 This glorious, grand and gelato-filled city has plenty to offer but it’s good to get an overview before you dive in. Rome is nothing short of great – with monuments like the Colosseum and St Peter’s Basilica, how could it not be? But the magic of this city is in the small details, like the cobbled lanes, the smell of fresh coffee coming from the corner cafés, the hidden squares and the fountains. 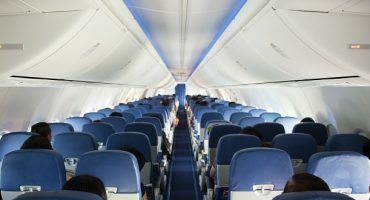 So it’s important to get a taste of both of these on your first visit to really make the most of your flights to Rome. If you’re interested in the history of Rome and appreciate art history, then it’s worth waiting in line to enter the Vatican Museums. This is one of the most culturally rich places in the world, with Michelangelo’s Sistine Chapel being the highlight of the tour. It’s about a 4.5 mile walk through the entire museum, where you’ll see everything from Egyptian mummies to modern paintings. It’s practically impossible to see it all in one day, so be selective. 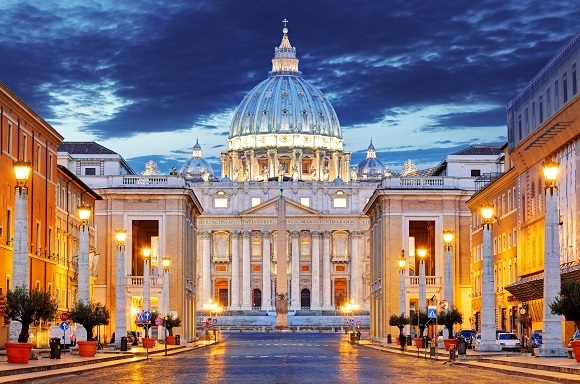 Not far from the Vatican Museums is St Peter’s Basilica, the seat of Catholicism and arguably the grandest church in the world. It took 120 years to build and was consecrated in 1626. Inside, the church’s lavish interiors impress visitors from around the world and include masterpieces from Italy’s most celebrated artists including Michelangelo and Bernini. Ancient Rome is where this place all began. The Colosseum will blow your mind! It was the social hub of the Roman Empire and it’s not hard to imagine a real-life gladiator battle happening before your eyes. Imagine 50,000 people filling the stadium’s seats and roaring with cheers when it was inaugurated in AD 80. It’s nothing short of impressive, to say the least. This is what’s left of a rather impressive district of temples, basilicas and public squares, which were the center of ancient Roman life. The site was first developed in the 7th century BC and quickly became the heart of the Roman Empire. It fell into disrepair after the collapse of the empire. Eventually it was used as a cow field in the Middle Ages but today, excavations continue to unearth what ancient life was like in this city. This ancient Roman temple is incredibly well preserved, with a circular hole in its huge domed roof, which opens up to the sky. 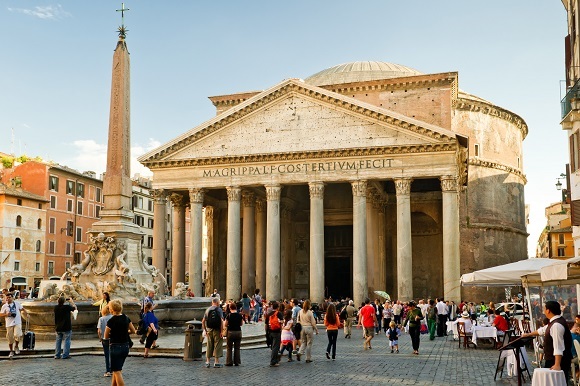 It’s a must-see as it’s the best-preserved ancient Roman monument and is one of the most influential buildings in the Western world, featuring the largest unreinforced concrete dome ever built. This baroque fountain, featuring mythical figures like Oceanus and Tritons with their wild seahorses, takes up the entire side of the 17th century Palazzo Poli. 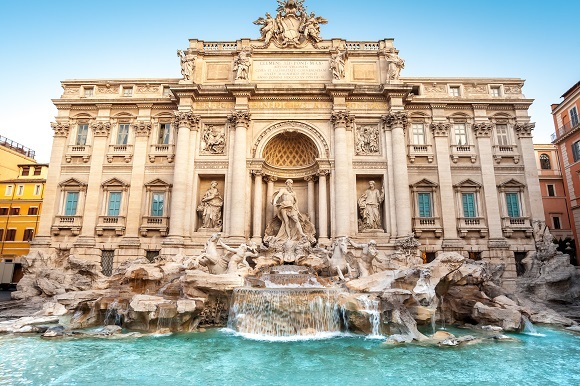 It was beautifully restored just a couple years ago and the famous tradition to toss a coin into the water ensures that you’ll return again to Rome one day. It’s such a popular tradition that an average of €3,000 is thrown into the water every day! This is the main shopping street in Rome, and it’s packed with the same shops you’ll find in any major city around the world. It’s also crowded with hoards of tourists and is definitely not the place to go for a quiet afternoon of shopping in Rome, or if you’re hoping to pick up something unique to bring home with you. Try Via Urbana or Via del Boschetto instead, for a more authentic Roman shopping experience. This place is famous and a major stop for any tourist in Rome. 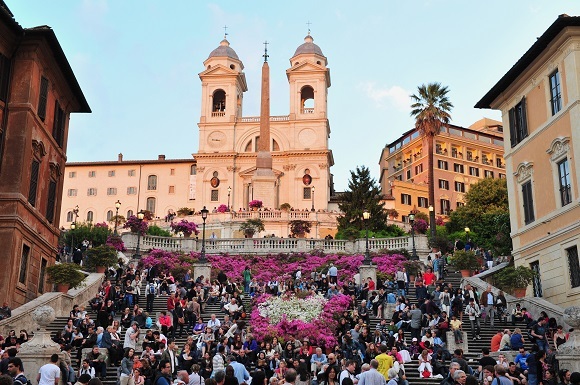 While the Piazza di Spagna is beautiful, the crowds of foreigners can really take away from the atmosphere and architecture. 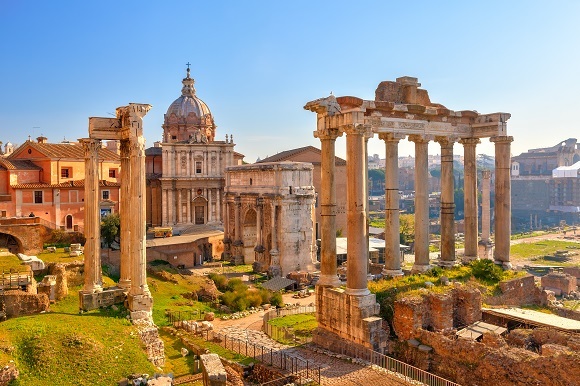 Instead, take in views of the Roman Forum from the Vittoriano in peace and quiet. This place, like we mentioned above, is one of the most amazing places in Rome. The breath-taking beauty of it is a must-see but you have to be ready to put up with long lines and crowds in order to appreciate it. There are alternatives, if you’re not that into crowded tours. The Galleria Borghese is a fine alternative to the Vatican Museums and a top pick for art lovers. Inside, each room is richly decorated with frescoes, gold foiling and marble. Outside, Villa Borghese Park is perfect for digesting all that art and culture you just took in. 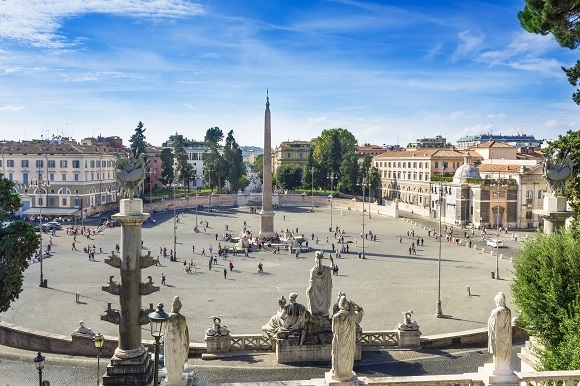 Piazza del Popolo is a popular place to get your morning cappuccino, but you can bet every café will see you coming (along with all the other tourists), and you’ll pay top price for the opportunity to sit in this piazza and drink your coffee. Try Piazza San Lorenzo instead, with the beautiful San Lorenzo Church just a stone’s throw away. Eating out: You can eat well in Rome, no matter your budget. This is Italy after all! Avoid touristy places at all costs, especially the ones with waiters outside, waiting to lure in tourists. Try family-run trattorias, where you can find traditional dishes for a fair price. Tipping: It’s good practise, like at home, to tip at restaurants. A couple of euros or some loose change will do the trick. Where to sleep: There’s no shortage of choice when it comes to finding a hotel in Rome. The best tip for finding a good deal: book as far in advance as you possibly can. 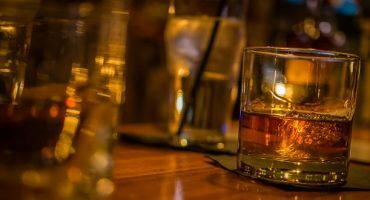 If you want to be central for sightseeing, choose a hotel somewhere in the historic center, with sights, restaurants and bars in close proximity. For budget stays, hotels around the Termini Train Station tend to be cheaper. 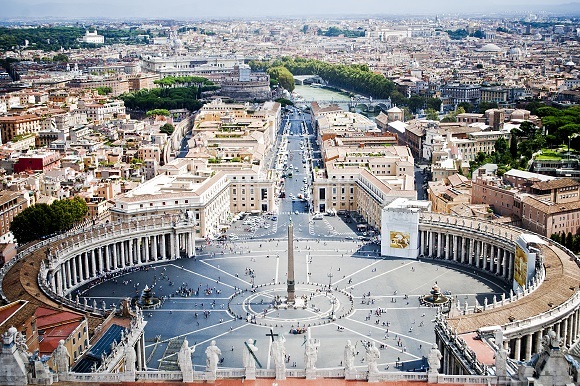 Getting around: Rome is easily walkable and you’ll see a lot more of the city on foot. For sights that are further away from your hotel, the city’s metro, buses and trams are inexpensive and efficient. What to pack: The first item on your list should be comfortable walking shoes, but also something smart. Italians love to look good and always dress up to go out for the evening. Ready for your Roman holiday? Which sights are definitely on your list of must-sees? 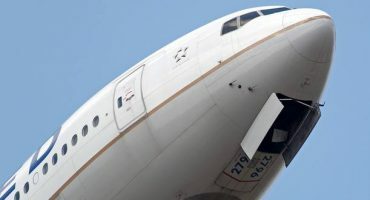 Happy travels, and happy 50th!